Would life be better if you didn’t suffer from PCOS? If you answered ‘YES’ then you will definitely want to find out more about the The Natural PCOS Diet! If you’ve been searching for the answers for your PCOS symptoms, then you’ve arrived at the best source of information. Here’s why. I have been treating patients with PCOS successfully for over 20 years and have a wealth of experience and an expertise in dealing with PCOS. If you answered YES, you may have PCOS, Polycystic Ovarian Syndrome. Live a happier healthier, hormonally balanced life! The link between PCOS and insulin resistance. Does every PCOS sufferer have this? What is the most suitable diet to follow – is it Paleo? Gluten-free? Low GI? What is the best PCOS diet plan? That it works! 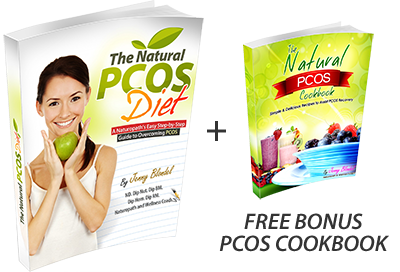 I have had countless women overcome their PCOS symptoms naturally! These factors and more are covered in detail. Grab your copy of ‘The Natural PCOS Diet’ and the bonus ‘The Natural PCOS Diet Cookbook’ – packed full of practical, healthy recipes to help navigate you on your journey back to optimal health. Take a look through this website for more information on relevant topics for your PCOS issues. Discover how you can overcome and conquer your PCOS naturally – when provided with the right guidance! Download e-book immediately after purchase. I am confident that once you purchase the book you have everything you need get started that I offer you my personal 60 day satisfaction guarantee. This means you can take a full days to try The Natural PCOS Diet for yourself. 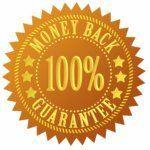 If you are not delighted by the results or 100% happy, I will give you a prompt and courteous refund. Why am I an expert in hormone health? I am a registered naturopath, nutritionist, homoeopath and medical herbalist, and a fertility expert. I am also the author of the popular fertility book ‘The Holistic IVF Diet Guide to Making Babies’. With 20 years experience in clinical practice, I am passionate about restoring hormone balance to women of all ages experiencing hormonal problems ranging from PMS, PCOS, infertilty to menopause. I take a proactive and realistic approach to improving your hormone health and wellbeing. Many of my patients compliment me on my understanding and compassionate nature. I hope the information in this book will help you overcome PCOS naturally as it has for many hundreds of other women. “My battle with PCOS began 6 years ago; when I decided that at 15 years of age, I should definitely be in the stream of womanhood with a regular period. Something that never arrived. I went to see my GP who decided that the appropriate solution to the problem was being on the OCP – typical therapy for orthodox medicine, treat the symptoms without concern for the cause. I didn’t quite agree and was soon sent for an ultrasound, where I was properly diagnosed with PCOS. Since being diagnosed with PCOS I have been seen by many gynaecologists and doctors whom “Specialise in Women’s Health” – All to no avail. “It is imperative to be on the pill”, “being on the pill is worsening your condition”, “you are well over your ideal BMI, lose weight, problem solved”. These are common phrases that I have become accustom to hearing by “Qualified Doctors”. By this stage, after 6 years of “costly treatment” in which I have found absolutely NO success with, I had decided to take the matter into my own hands. I have always felt that Naturopathy is the way to go, and by chance – or fate, whichever, I have stumbled across Jenny Blondel. I have purchased and read her e-book “The Natural PCOS Diet” which I have found very enlightening. This book has very quickly become my bible. I regularly refer to The Natural PCOS Diet in order to stay focused and motivated with my new found lifestyle. I have now been following her recommended diet plan from The Natural PCOS Diet for 2 weeks, and can see and feel the dramatic changes occurring in my body. I look forward to getting back to a healthy weight, and being mentally balanced again as my hormones go back to normal, also (unlike many other woman) I will rejoice at the opportunity and blessing that a natural period cycle will have in my life. Something that I have been made to believe would never evolve naturally without forcing my body to act in this manner – through use of the OCP. “I went to Jenny after I had been diagnosed with PCOS when I came off the pill to try and have a baby. I was overweight, depressed and not ovulating. I did not want to go down the western medical route which was just to offer me Metformin and Clomid; instead I wanted to go for a more holistic approach as I thought this would be healthier and longer lasting. I was very glad I found Jenny. She gave me good dietary advice as well as giving me herbal medicine and exercise advice. “I contacted Jenny Blondel after becoming convinced that traditional medicine didn’t hold all of the answers for me and my hormone issues. After six months of breastfeeding my twin sons (who were conceived after a diagnosis of PCOS with the help of a traditional fertility doctor using Clomid -I was not ovulating on my own and hadn’t gotten my period for nearly eight months after stopping the Pill), I got my period. It was outrageously heavy and had lasted for six weeks by the time I contacted Jenny. The medical practice I went to simply kept giving me birth control pills and told me to take them in increasing quantities; they said that was the only thing that would stop the bleeding. I did not want to go back on birth control pills, but I took them anyway because I had become anaemic and wanted something to stop the bleeding. They didn’t work. Luckily, when they prescribed yet another round and gave me another medication to control the nausea (and told me to hire a babysitter for my boys because I would likely be too sick to care for them on the first day after beginning this even stronger round of hormones), I had already contacted Jenny. I didn’t follow through with the last round; I knew there had to be a better way.